She is an artificial being created long ago by a former CPU of Planeptune. Her purpose is to record the nation's history. 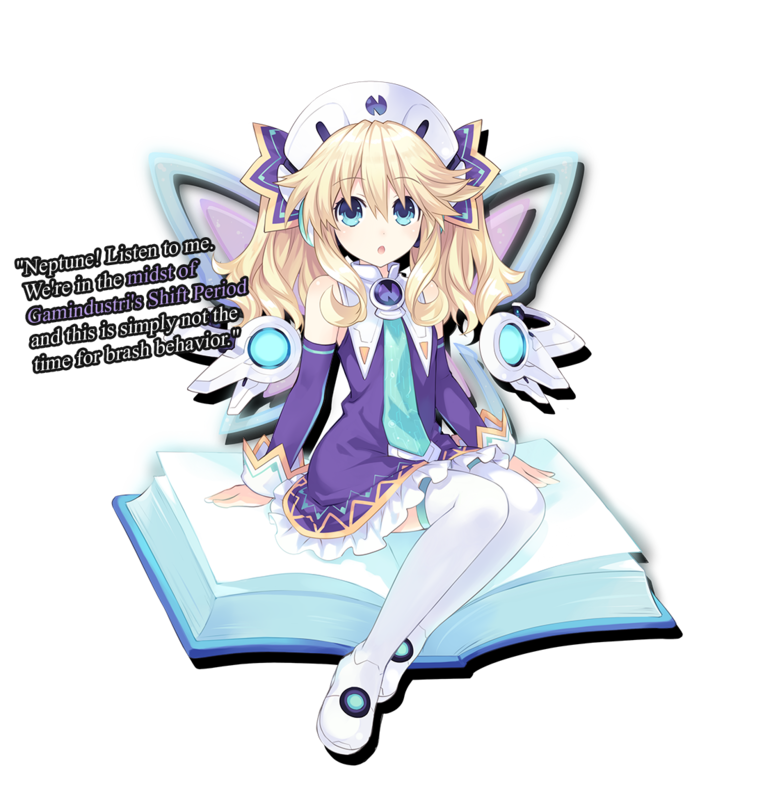 In the past, her role was confined to being the keeper of Planeptune's chronicle. However, ever since Neptune became the CPU, she became anxious for the nation's future and so, Histoire became an Oracle to manage the nation alongside its lazy ruler. She secretly places a large amount of trust in Neptune, who gets the job done when needed most, but Histoire will never vocalize it. She thinks Neptune would get carried away with such knowledge. © 2016 IDEA FACTORY / COMPILE HEART All rights reserved. Neptunia is a trademark of IDEA FACTORY. Licensed to and published by Idea Factory International, Inc. Distributed exclusively by Atlus U.S.A., Inc.
"PlayStation" and the "PS" Family logo is a registered trademark and "PS4" is a trademark of Sony Computer Entertainment Inc.
©2016 Valve Corporation. Steam and the Steam logo are trademarks and/or registered trademarks of Valve Corporation in the U.S. and/or other countries.